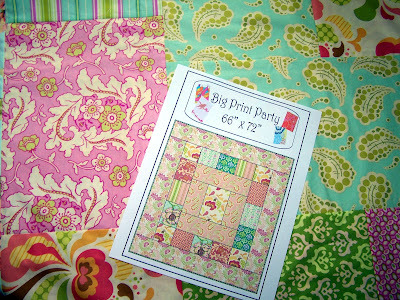 Quilt Taffy: Big Print Party!! In honor of all the designers who come up with these great prints that we all drool over, I drew up this pattern. I don't have the quilt, quilted yet, but when I do, I'll be back! I wanted to call it Big Print Palooza but I really wasn't sure if Palooza was a real word or not. I just looked it up. It's not. The closest is: Palloza and that's a thatched house. 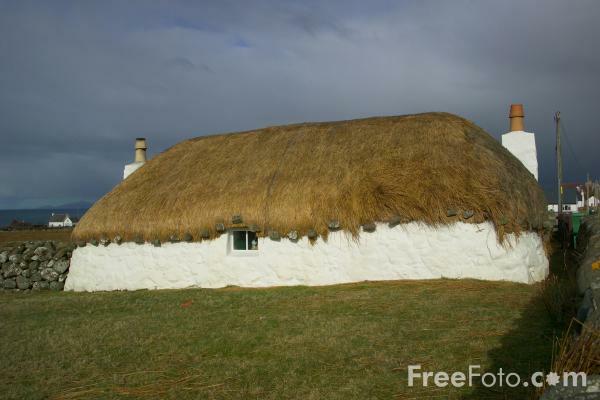 I don't know that the words Big Print really go with a thatched house. Although, I'm sure a thatched house would benefit greatly from something this fun and colorful inside. I hope there aren't sheep on the roof. .
Pattern is here. Fabrics are here. Lovely Colorful instructions. Great for a beginner with a rotary cutter! And if you don't have a rotary cutter girls.....it's time. In fact, it's WAY past time. It'll change your life. I can't wait to see it quilted! I think my biggest problem would be which fabrics to use! Great job Des! How creative of you! I can't wait to see it all done and quilted too. 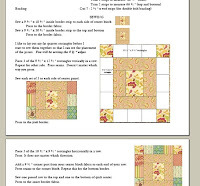 How do you do your quilting? Went to Etsy and it is sold out??? How do you sell out of a download??? I hope you have it there for awhile. I must resist for now. I must make a dent in what I have and SOON! Well, cool for me that it sold so quickly. I'm not sold out of downloads. :) I just don't work on Sunday's so I didn't see that it sold. But what a great surprise this morning! Would this accomodate a twin size bed? I need bedding for my girls (both twin size) and can't find anything I really like out there...the problem is I've never quilted and am clueless as to what to do with it once the top portion is done. I know I need a backing, but what about in between? Would I need to take it somewhere to have it actually quilted? The measurements are 66 x72 inches. It would be a short twin, if you're not into tucking a lot. Yes, once you have the top pieced you can either: tie it with square knots, or hand quilt it or the quickest, easiest but most expensive way is to take it to a third party who will machine quilt it. You could just check with a local quilt store and see if they have recommendations. Or, many quilt stores now offer machine quilting as well. They usually also have the batting that you put in the middle. 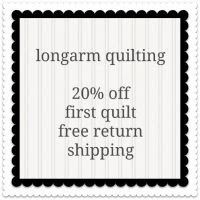 You should take a little outing to a local quilt store and see all that they have to offer. Thanks Mary Ann! That is such a great idea to use it for those beautiful Christmas prints coming out. Be sure to send me a picture! I'm off to the quilters now! !